Review: Jealousness Cleansing Liquid from Eyecandys | Memorable Days : Beauty Blog - Korean Beauty, European, American Product Reviews. I've been looking for a different way to remove my make up instead of just using my Hadalabo face wash. Eventhough that face wash removes make up as well, but sometimes when i wear heavy make up it won't remove it completely. Therefore i'm trying out different types of cleansing methods. I'm mainly talking about my foundation/bb cream since i clean my eyes with eye makeup remover. That's why I gave this product a try, which is the Cleansing liquid of the brand Jealousness USA. I recently reviewed 2 products of this brand (read previous blogposts) and this is the third one. 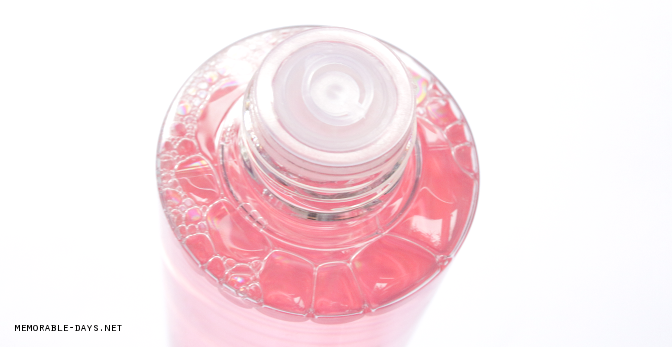 Jealousness Cleansing Liquid (Rose) is an all-in-one cleansing solution. Quickly and gently which removes all makeup on face, eyes and lips. It will make your skin feel soft and supple. 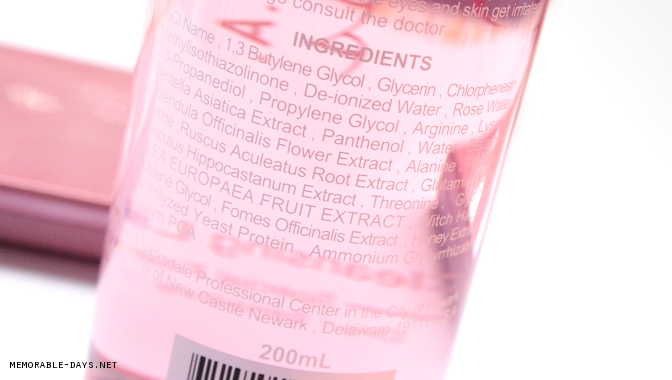 It has an alcohol-free formula that won't leave your skin dry or tight. They have this cleansing liquid in 2 types: the rose formula is suitable for dry/sensitive skin and the peach formula is suitable for combination/sensitive skin. Like I said in my previous two Jealousness reviews, it's quite hard to purchase products of this brand online. There aren't many shops that offers them. I'm glad that eyecandys.com does, they are selling it for $17.90 (link to the product) and they offer worldwide free shipping. Feel free to use my code: MEMORABLEDAYS to get a free gift at checkout. Besides this cleansing liquid they are also selling circle lenses and other Asian beauty products, so make sure to check their assortment out at www.eyecandys.com. 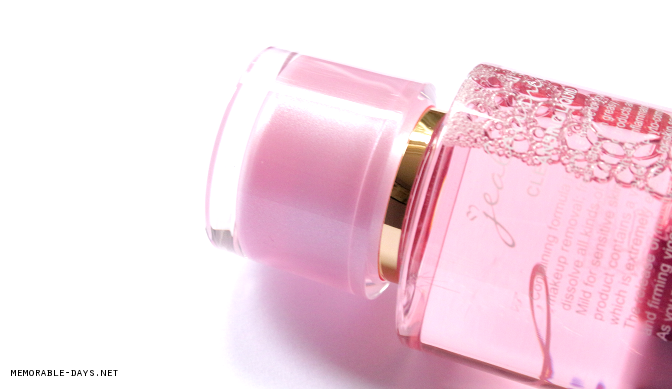 It has an adorable transparent pink packaging with golden details. The bottle is made of hard plastic. When you open it for the first time you will see a lid at the opening. I usually just put the lid back after i've used the cleansing liquid, just to prevent it from leaking if i accidentally let it fall on the ground (yeah i can be clumsy sometimes). Sorry that you are not able to read everything. It was hard to photograph it, but it doesn't contain alcohol for sure. 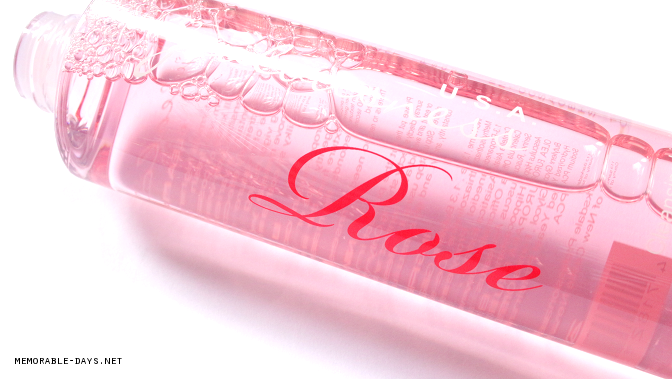 This cleansing liquid has a strong scent of roses which is a bit overwhelming to me, but some people might like it. If you have ever tried the Queen Helene - mud pack masque, it smells JUST like that! 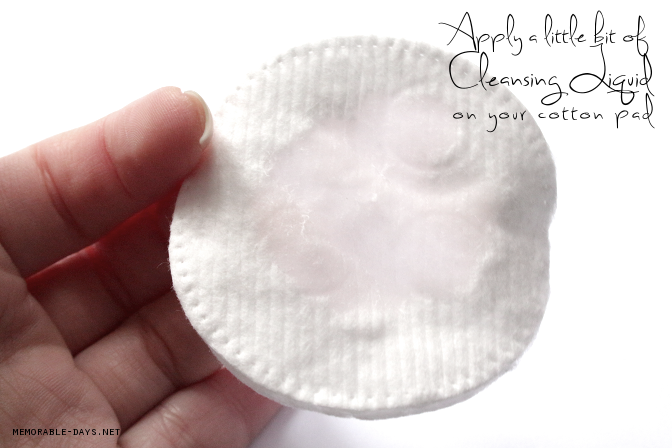 Apply a little bit of cleansing liquid on your cotton pad. No need to rinse afterwards. DOES THE JEALOUSNESS CLEANSING LIQUID REALLY WORK? Yes it really does its job as you can see in the pictures below. I've applied a waterproof bobbi brown gel liner on my hand and a Missha BB cream. I just had to wipe it 2 times and my hand was totally clean. I've tried this cleansing liquid on my face (not on my eyes, since i'm cleaning that separately) and it worked perfectly as well. 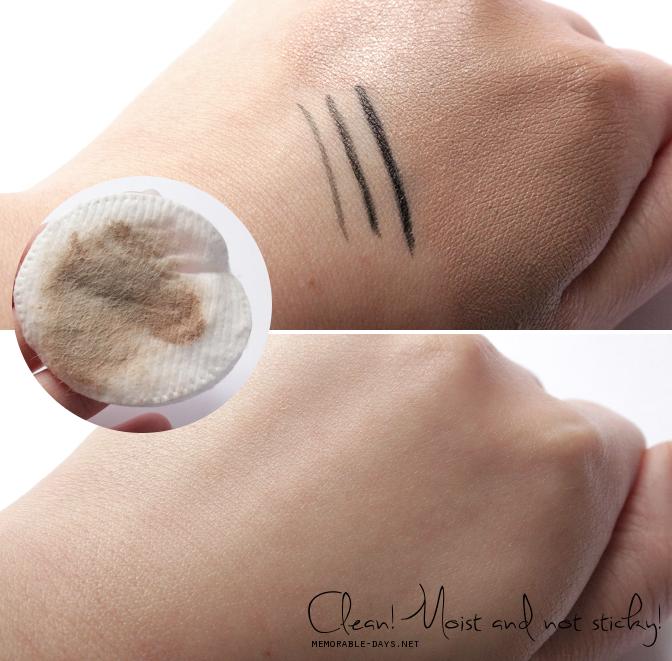 It feels gentle on the skin leaving it non-sticky, dry nor extremely moist afterwards, just normal and clean. Overall I'm happy with this cleansing liquid since it removes all my make up within a couple of seconds (perfect for ppl who are impatient lol). I just need to wipe it twice and all make up will be gone, but i still like to use my face wash afterwards. With this extra step in my cleansing routine, i'm sure that all the make up on my face is gone. I'm glad that this cleansing liquid does its job, it feels gentle on the skin and the packaging is just super girly and cute. The only thing that i don't like is the scent but that's just my personal preference, other people might like it =). If you would like to purchase this, go to eyecandys.com and feel free to use my code: MEMORABLEDAYS to get a free gift at checkout.